Okay, today I am really feeling the cold. Before lunch I just couldn’t get my poor hands warm, and when I went out I felt distinctly unprotected from the cold, even though I was wearing a very warm coat. Some days you just feel it more than others. 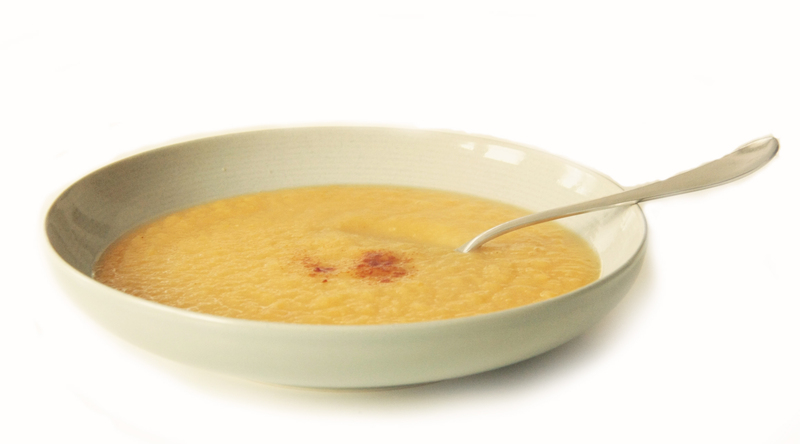 I have just finished eating the following soup and my hands are so warm now – and I don’t even have the heating on! Take this to work (college, school etc) in a flask, you can make it in the morning or the night before. It tastes so much better than bought soup and doesn’t contain the salt, sugar and preservatives that many bought soups have. 4x Carrots, 1 x leek, 3x parsnips, 1 x onions and I also had some dry orange lentils 2 x handfuls. Put all of it in the water in the pan and cook on high heat for 25 minutes. Blend until creamy – serve straight away. 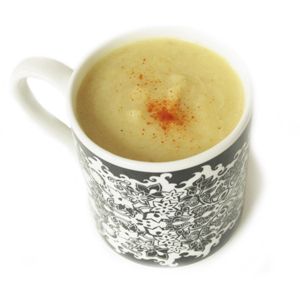 You can make it even more warming by adding some cayenne pepper. In a very old post I talked about putting Cayenne pepper in your socks to keep warm, I had quite a few people tell me this really worked when they went skiing. It may surprise you to know that you can warm yourself up without heating, extra clothes or a big cosy fire. There are some magical foods that really can affect your circulation and warmth both internally and externally – AND at the same time have wonderful health benefits. As I write I am sitting here in my cold study (I refuse to heat the whole house just for me) with a mug of piping hot water, slices of fresh ginger and a teaspoon of cinnamon. It is delicious and every mouthful I can feel warming my tummy and gradually spreading through my body. It will take a bit longer to reach my toes, but there’s a remedy for that: powdered ginger in my socks! I tried it a while ago not realizing it is actually quite an old tradition and lots of people around the world do it. You can also put cayenne pepper in your socks and its keep feet toasty warm. The added benefit is that both are antiviral and antibacterial – so guess what – it keeps your feet clean too. Just make sure you wash it off your hands and don’t touch your eyes. An amazing spice, with such an unusual appearance as it is the root of the Ginger plant that is used. It is an ancient spice and has been used for medicinal purposes for thousands of years. It is a ‘vasodilator’, which means it dilates blood vessels making more capacity for blood flow; hence it’s ability to improve circulation. As well as this it is a hot aromatic spice, which means it increases digestive fire, or heat in the stomach, which eventually radiates through the body, with increased circulation the heat can flow more freely. 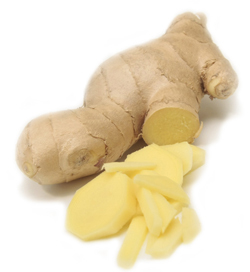 You can use the same sliced ginger for 3 or 4 drinks; just keep filling up with hot water. Adding ginger to any foods increases the warming effect – even a cold salad can be ‘heated’ up with a dressing made from fresh ginger, apple cider vinegar and olive oil. Ginger has many other health benefits, which I shall post at a later date. This spice has been around and used for so many years; the Ancient Egyptians used to value it more than gold. It has been used as medicine for so long that it is even mentioned the bible. Quite rightly so, it is a wonderful spice that has a beautiful aroma and flavour and has some magical health benefits. It stimulates metabolism so you burn more calories, which causes more heat. Add a spoonful to your porridge or cereal, put it in hot chocolate or mix it with honey and make a delicious spread for toast or crackers. Another ancient spice, which has been used medicinally for 2000 years. It has pain relief qualities along with anti-bacterial and anti-viral properties. 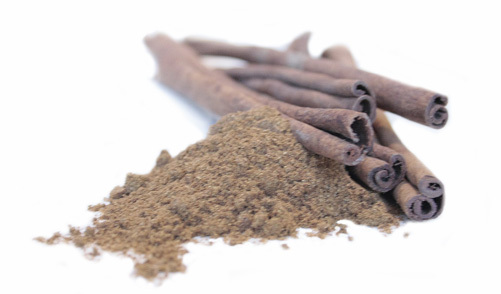 A warming spice too – hence why it’s used in mulled wine for the winter nights. Drop a few cloves into an herbal tea and it will create more warmth as well as flavour. Cayenne pepper is a fantastic warming spice, the more you can tolerate the warmer you will be, but even just a little can make you glow. This spice can warm you up in winter and cool you down in summer. It speeds up metabolism, which burns more calories, which as you know by know creates more heat. It stimulates digestion – building up the furnace inside. You can add this to anything, it is so practical. I love sprinkling it on top of a mug of soup, adding some heat to a hot pot or stir-fry. I eat lots of raw cabbage salads even through the winter – my sesame and kale salad with butterbeans is deliciously warming with a cayenne pepper and ginger dressing. The added extras of cayenne are its antioxidant properties, Regular consumption increases the resistance of blood lipids to oxidative damage by free radicals- which translates as ‘helps keep blood clean’. All of the above breathe energy and heat into your circulation which is why they are so warming, they thin the blood and make it easier for nutrients to get to tissues, which is why they can help in disease and sickness too. Look out for my next post on Foods and Nutrients to Fight a cold once you’ve caught one. Please NOTE: If you are taking blood thinning medications, please check with your health care provider before consuming large amounts of the above.